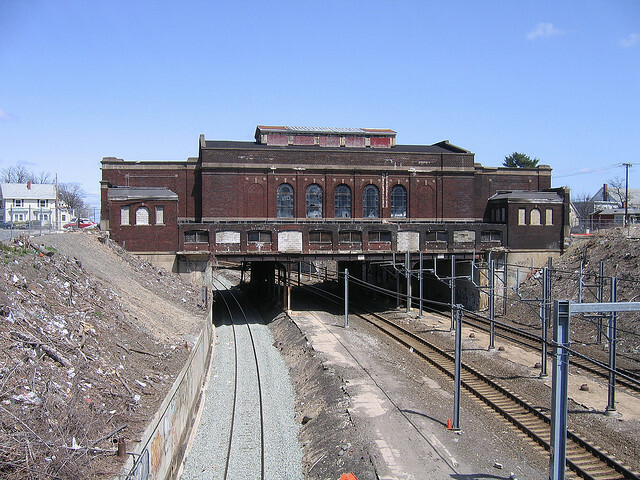 The future of Pawtucket-Central Falls train station has been the subject of much debate over the last several years. Currently the owner, Oscar “Ike” Seelbinder, has plans to demolish a large portion of the historic structure to build a CVS pharmacy. On Wednesday, December 6th at 7:00pm local residents can express their dismay about this plan by attending the City Council public hearing on the future of the train station. Station supporters are looking for the City Council to move the train station property onto the official Pawtucket Redevelopment Plan. The meeting is at Pawtucket City Hall, 137 Roosevelt Avenue, 3rd Floor at 7:00pm. The Pawtucket Alliance for Downtown Success (aka PADS) has written an open letter to CVS CEO Tom Ryan, urging him and the developer to come up with a plan for the site which saves the station and creates a more urban-friendly environment in this important area of Pawtucket and Central Falls.